The Avenue of the Baobabs is a prominent group of baobab trees lining the dirt road between Morondava and Belon'i Tsiribihina in the Menabe region in western Madagascar. Its striking landscape draws travelers from around the world, making it one of the most visited locations in the region. It has been a center of local conservation efforts, and was granted temporary protected status in July 2007 by the Ministry of Environment, Water and Forests, the first step toward making it Madagascar's first natural monument. 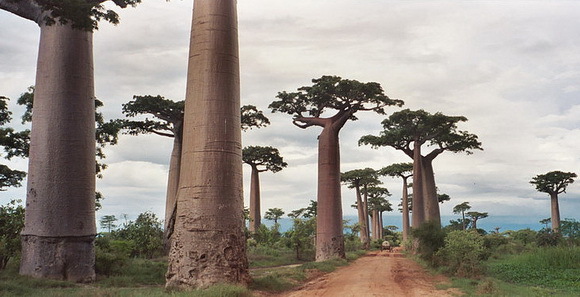 Along the Avenue are about a dozen trees about 30 m (98 ft) in height, of the species Adansonia grandidieri, endemic to Madagascar. 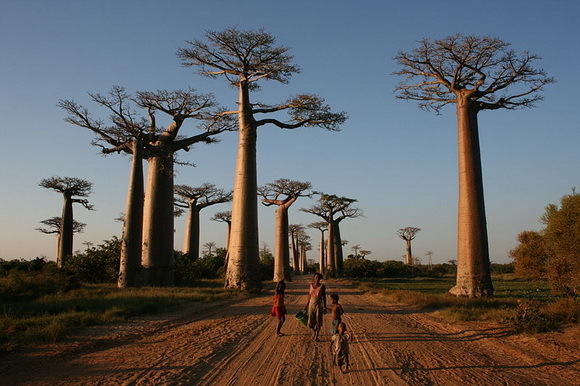 Baobab trees, up to 800 years old, are a legacy of the dense tropical forests that once thrived on Madagascar. The trees did not originally tower in isolation over the sere landscape of scrub but stood in dense forest. Over the years, as the country's population grew, the forests were cleared for agriculture, leaving only the baobab trees, which the locals preserved as much in respect as for their value as a food source and building material. Google map. 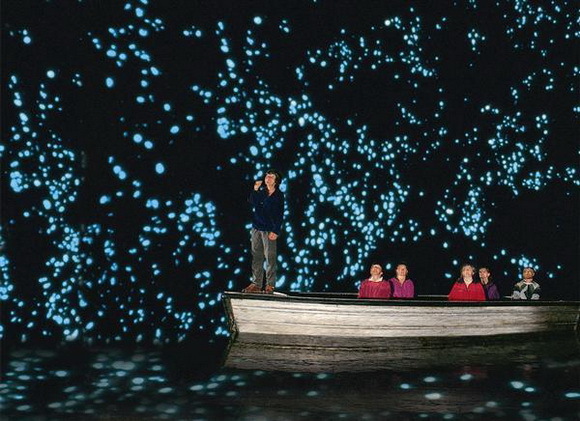 Waitomo, New Zealand is famous for one thing. 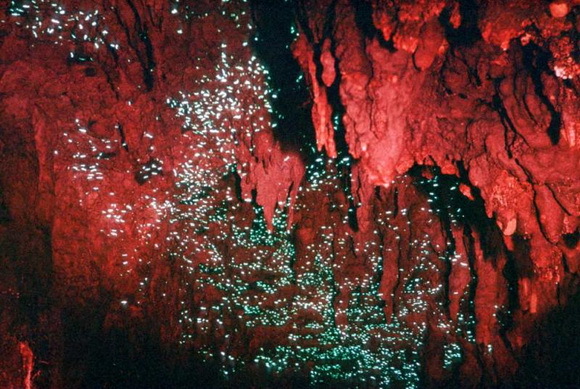 Every year, heaps upon heaps of travelers come here to see the infamous glow worms that line the ceilings of the nearby caves. The glow worms emit a phosphorescent glow that shines from the roofs of the caves like a starry night. The interesting thing about the glow worms is that they aren’t really glow worms. They’re fly larvae. And what glows? Well, that’s their waste and snot. The larva glow to attract prey into its threads by making the prey believe they are outdoors as the roof of a cave looks much like a starry night. Hungry larva glow brighter than ones that have just eaten. There are a couple of ways to see the glow worms. There’s the three hour black water tubing trip, the five hour trip that includes abseiling and climbing, or, if you like it easy, a boat. Google map. 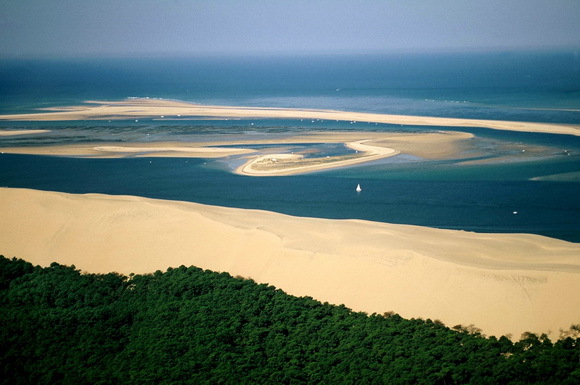 At 60 km (37 mi) from Bordeaux, in the South of the Arcachon Bay, it is possible to visit the highest dune in Europe, the Great Dune of Pyla (or Pilat). 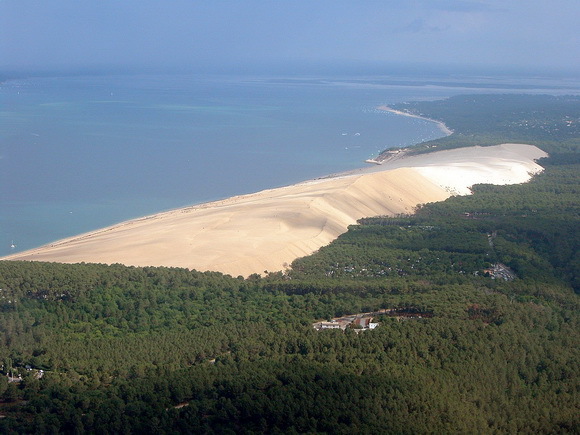 This dune reaches a height of 107m. At this summit, the view is spectacular with the ocean coast, the inlet of the Bay, the large pine forest and, when the sky is very clear, the Pyrenees Range. This Great Dune is constituted of fine sand which the siliceous grains have about the same size. The Great Dune of Pyla is famous for the paragliding activities. Google map. 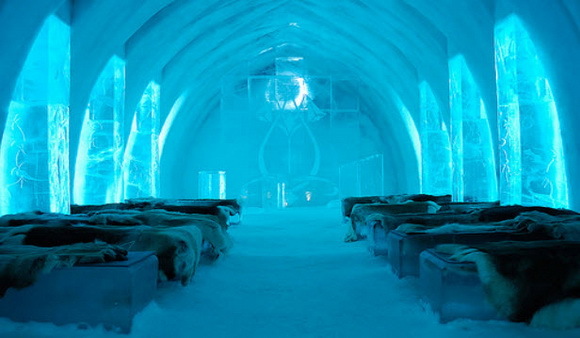 Although there are ice hotels in Finland, Québec, Canada, Norway and Romania, the hotel at Jukkasjärvi, Sweden is the oldest and most famous of these frozen inns. Located 200 km (124 mi) north of the Arctic Circle in a little village in Lapland, this hotel is world famous for its dramatic scenery, and its yearly rebirth, like an icy phoenix. The hotel is run during the winter months, and after the summer meltdown needs to be rebuilt. 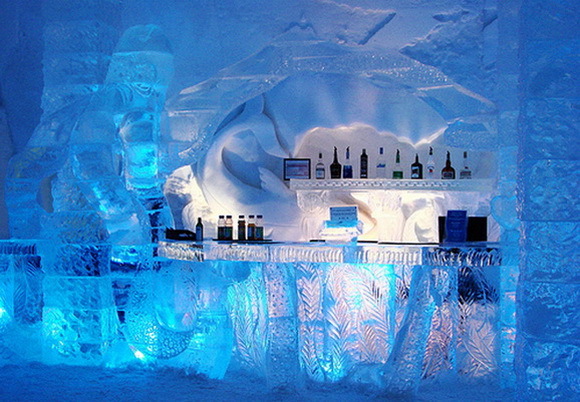 The experience of staying in one of the world’s ice hotels is truly a unique travel experience for patrons. Google map. Churchill is a town on the shore of Hudson Bay in Manitoba, Canada. It is most famous for having the largest population of polar bears that is south of the Arctic Circle. They move toward the shore from inland in the autumn, leading to the town's nickname "Polar Bear Capital of the World" that has helped its growing tourism industry. 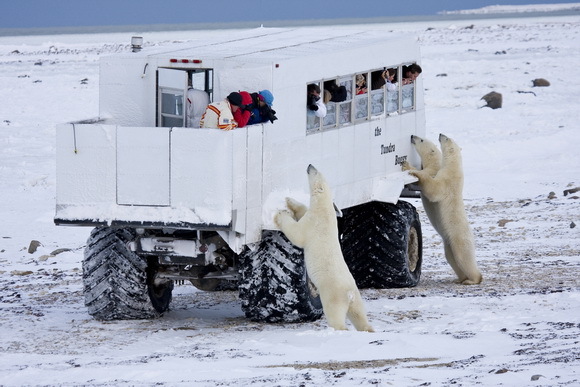 Tourists can safely view polar bears from specially modified buses known as tundra buggies. Use of the buggies helps sustain local tourism, but can also cause damage to the local ecosystem when driven outside the established trails. October and early November are the most feasible times to see polar bears, thousands of which wait on the vast peninsula until the water freezes on Hudson Bay so that they can return to hunt their primary food source, ringed seals. Google map. Ice. Snow. Water. Penguins. The allure of Antarctica. This cold, southernmost continent is an increasingly popular tourist destination. 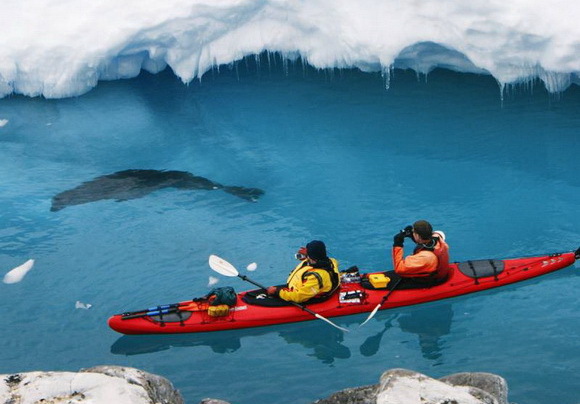 Its vast landscape of ice and snow, as well as its wildlife population, attract nature-loving vacationers and some tourists who enjoy activities like kayaking or cross-country skiing. Others simply float through the area onboard a cruise. Whatever the reason people come to Antarctica, they're coming. 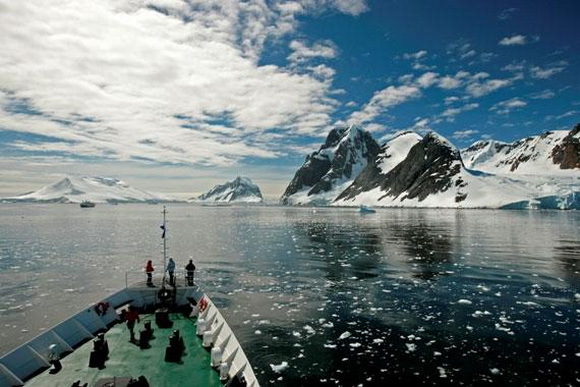 Tourism in the Antarctic is mainly by ship, around 20 vessels carrying 45 to 280 passengers each. The ships are ice strengthened and sail primarily to the Antarctic Peninsula region sometimes also including South Georgia and the Falkland Islands. There have been occasional voyages to Antarctica by larger passenger vessels (up to 960 tourists), some of which conduct sightseeing cruises only without landings. Yacht travel is also popular, and gives a smaller scale more intimate contact, though often without the luxuries and facilities of the larger Antarctica cruise ship. 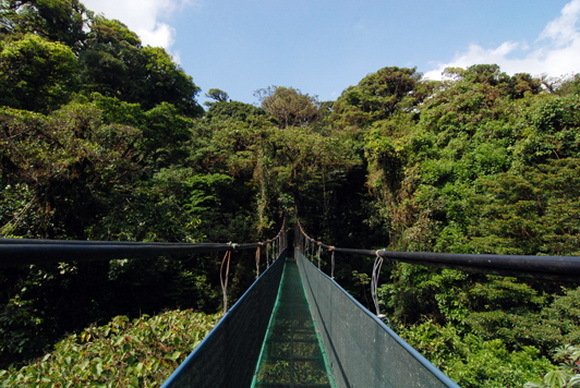 The Sky Walk is a well-thought-out combination of suspension bridges and walking trails through the Monteverde rainforest. 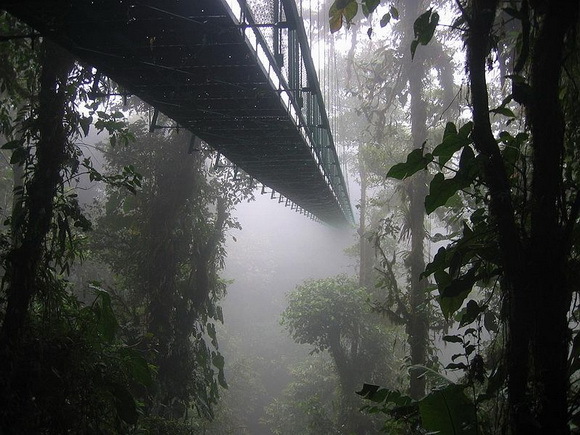 These bridges span canyons and drainages, and bring visitors face to face with the upper level of the forest canopy. There are six bridges in total, the longest of which spans some 984 ft (300 m). The trails extend for slightly over a mile and a half (2.5 km), making this tour extremely feasible for anyone in moderate shape. The climb is not strenuous or muddy, as the trails are well-maintained and generally very flat. Local guides accompany each tour and help visitors learn about native plant and animal species. Because there is a 12 person maximum capacity per bridge, reservations are recommended, especially in July and August and from December till May. Google map. 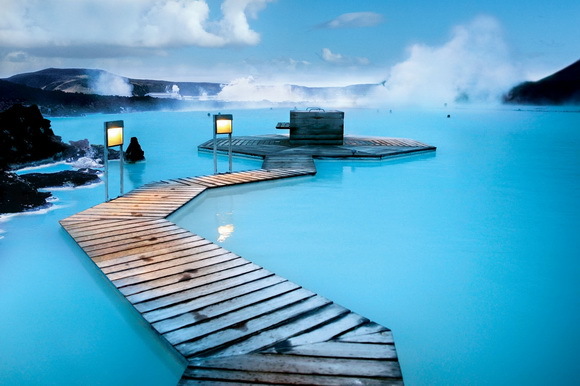 The Blue Lagoon in Iceland is something which travelers should not miss. It also called “The Land of Fire and Ice“, because you are swimming in mud waters while there is snowing outside. 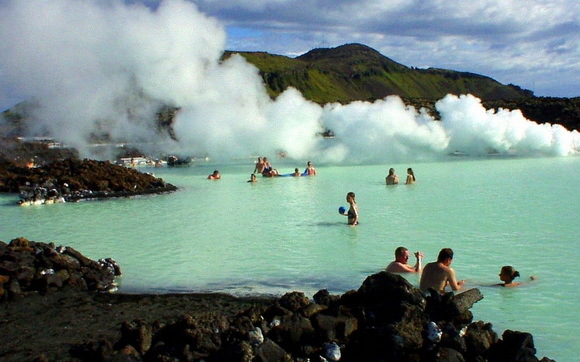 The Blue Lagoon, geothermal spa, is one of the most visited attractions in Iceland. The steamy waters are part of a lava formation. The warm waters are rich in minerals like silica and sulphur and bathing in the Blue Lagoon is reputed to help some people suffering from skin diseases such as psoriasis. The water temperature in the bathing and swimming area of the lagoon averages 37–39 °C (98–102 °F). The spa is located in a lava field in Grindavík on the Reykjanes Peninsula, southwestern Iceland. Blue Lagoon is situated approximately 13 km (8 miles) from the Keflavík International Airport and 39 km (24 miles) from the capital city of Reykjavík. That is roughly a 20 minute drive from the airport and a 40 minute drive from Reykjavík. Google map. Mosquito Bay, also known as the Bioluminescent Bay, on the south coast of Vieques is undoubtedly the healthiest and best example of a bioluminescent bay in the world. With the slightest agitation of the water tiny bioluminescent creatures emit an electric bluish white light. Fish swimming in the bay leave a bioluminescent trail as do boats, raindrops and people swimming. 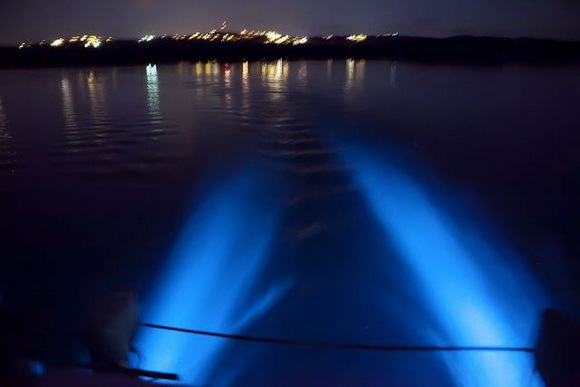 This phenomenon of bioluminescence is so intense, so awe-inspiringly beautiful and so dependable that Mosquito Bay in Vieques, also called the Bioluminescent Bay or the Bio Bay, could easily be called the eighth wonder of the world. Google map.